Some ideas, when you come across them, are so brilliant simply that you literally smack yourself in the forehead because you’ve never thought of it before. 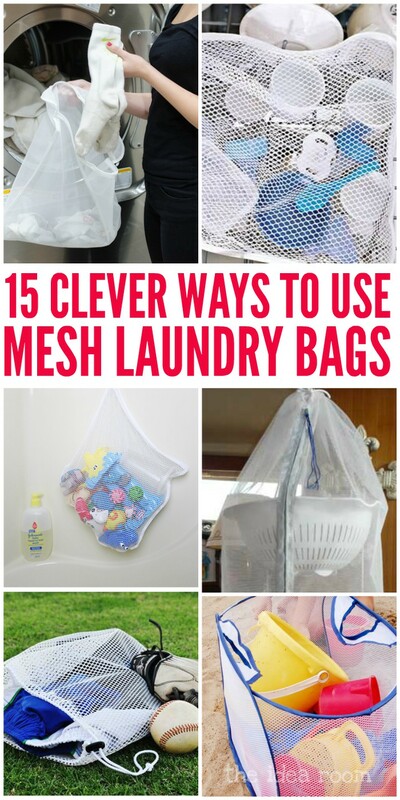 The many ways you can use mesh laundry bags is one of those ideas for me. 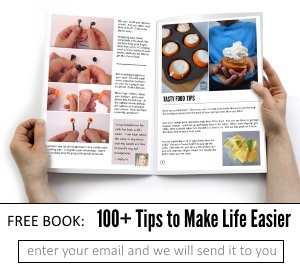 I first stumbled across the dishwasher tip (genius!) and then the sock tip… and before you know it, we have a whole collection of ways to use them. Mesh bags aren’t just for college kids anymore! 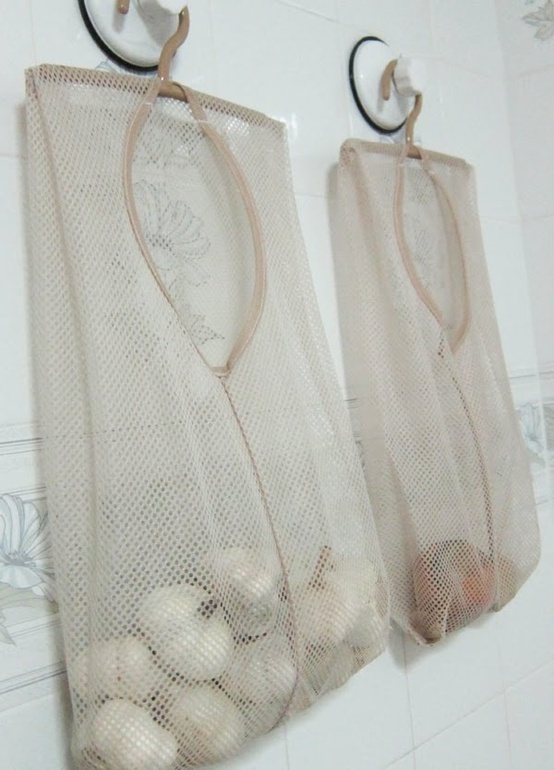 Store onions and potatoes in an over-the-door mesh laundry bag in your pantry. It’ll keep them fresher longer. 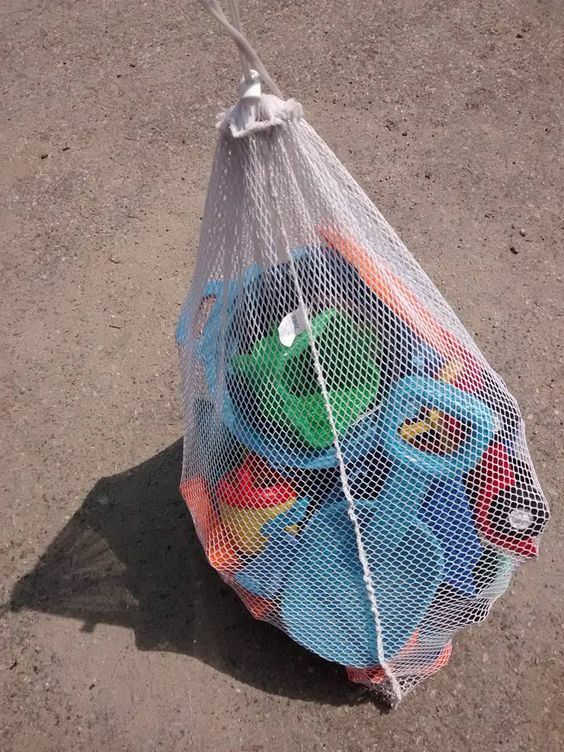 There’s no better way to transport toys to and from the beach. 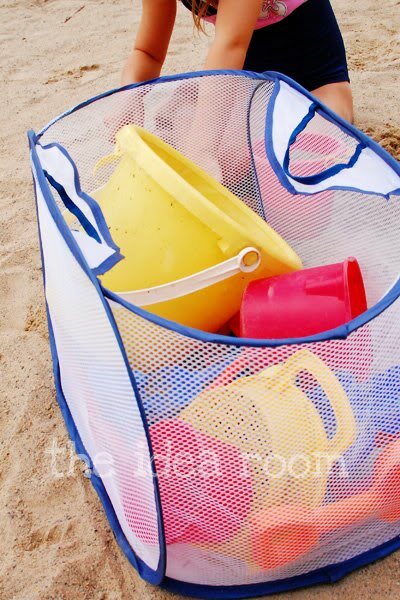 A mesh laundry bag allows the sand to filter out so it doesn’t get in your vehicle. Win! 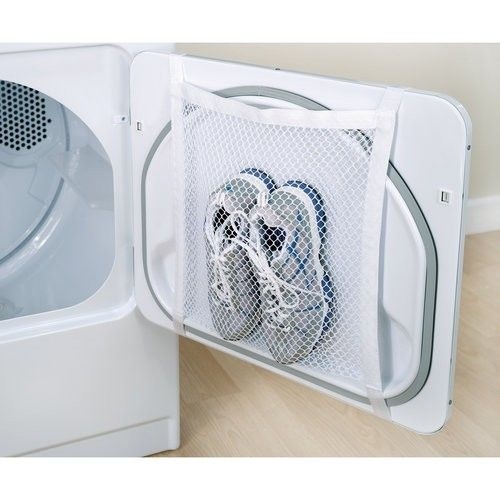 Here’s the same concept using an expandable mesh hamper instead. It’s featured on our beach hacks post, so don’t miss it! 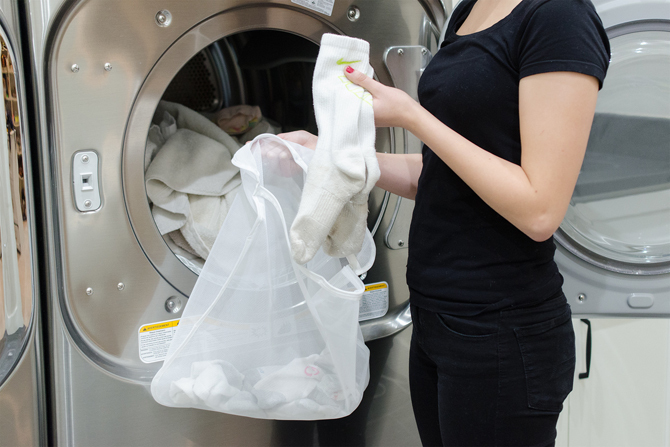 Wash socks in a mesh laundry bag to keep them separate from the other things you’re washing. It’ll be so much easier to match them up when you’re done! 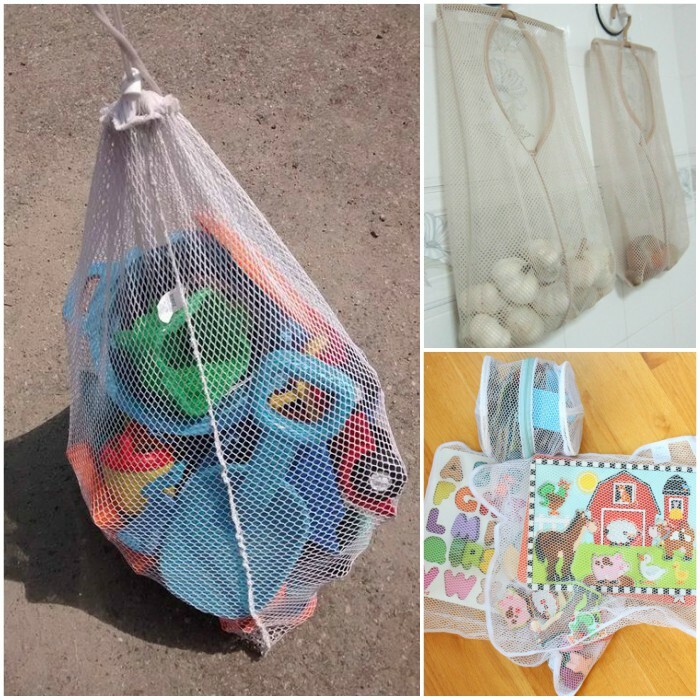 Make a better hanging fruit basket with colanders and a large mesh laundry bag to keep the bugs at bay. Have you ever thought about all the germs on your kids’ Legos? How often do you clean them? (Confession from me: almost never.) Well, cleanup just got a lot easier. 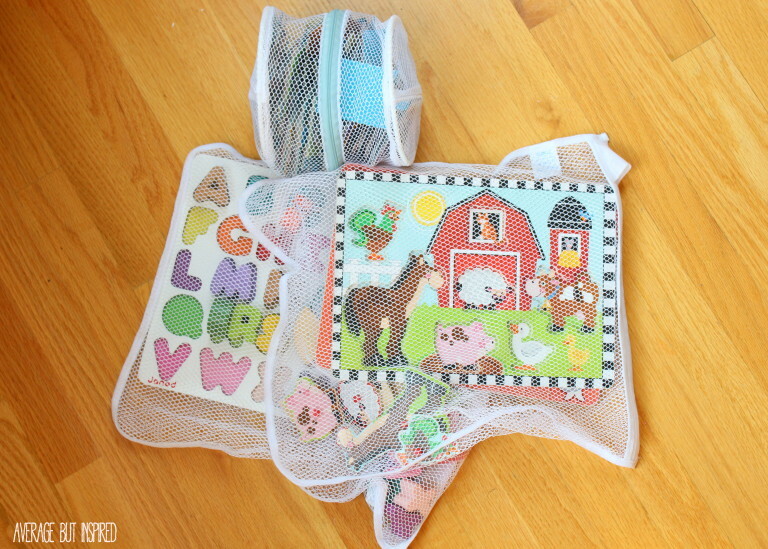 Put all those little pieces in a laundry bag, and run them through a gentle cycle. If you’re afraid the washer will be too rough on them, run them through the dishwasher instead. 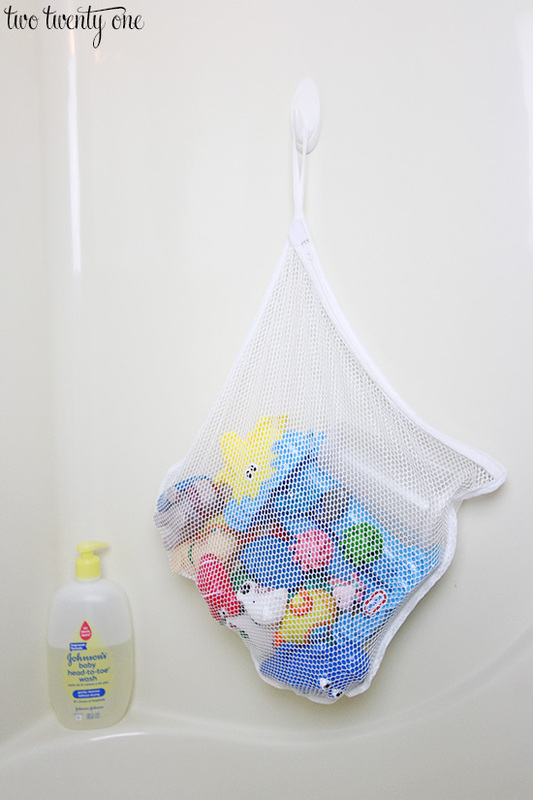 Add one to the bathroom to store your kids’ bath toys when they’re not in use. They’ll drip dry, so you won’t have to worry about icky mold. 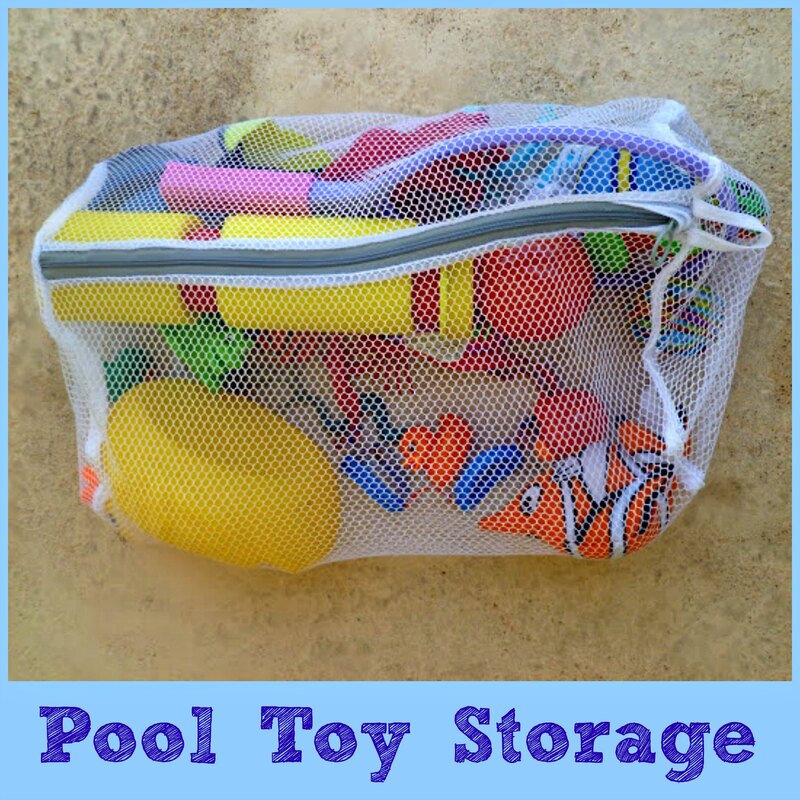 We have more bath toy storage ideas, too! 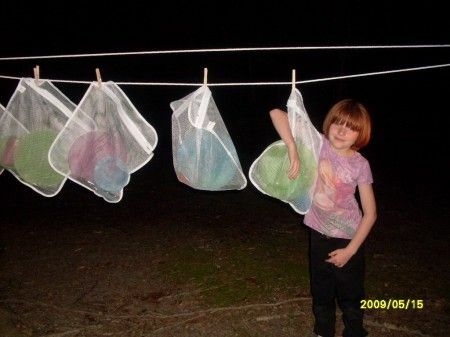 Hang dishes out to dry while you’re camping. Genius! You won’t have to clutter up table space with drying dishes. Dry herbs the easy way. 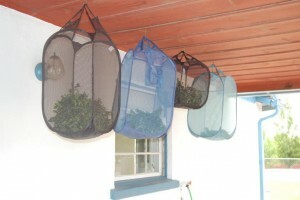 Just install plant hooks outdoors, put your herbs inside the mesh hampers, and hang them up. If you live in a windy area, loop the handles around the hooks a couple of times to make sure they’re really secure. What do you do with all those pool toys when they’re not in use? 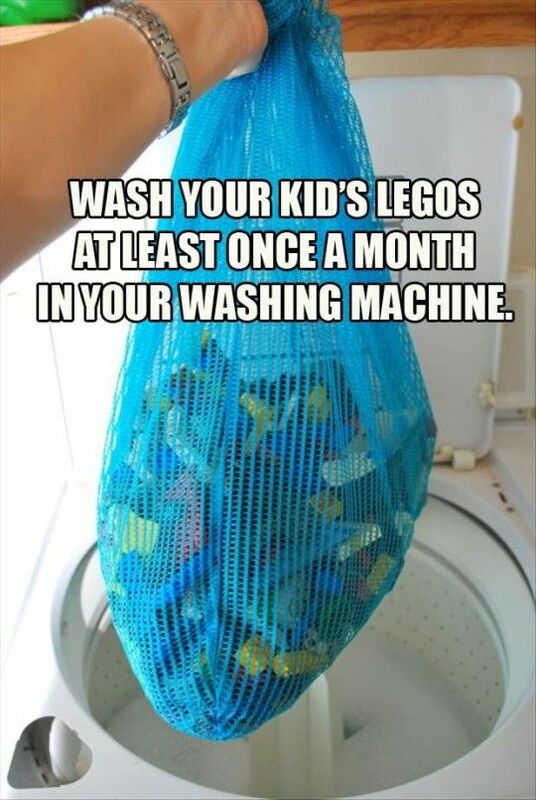 Wrangle them in a mesh bag so they can dry, of course! Keep puzzles and all their pieces together in small lingerie bags. This is perfect for those heavy duty wooden puzzles that you want to pass down from child to child. 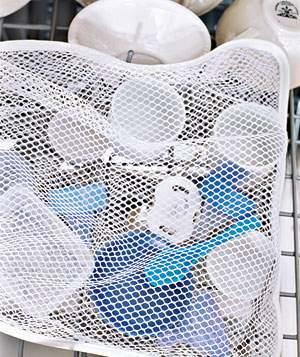 Use a mesh laundry bag as a dishwashing aid. Put lids, baby pacifiers and bottle pieces, and other odds and ends in there to keep them in one place. 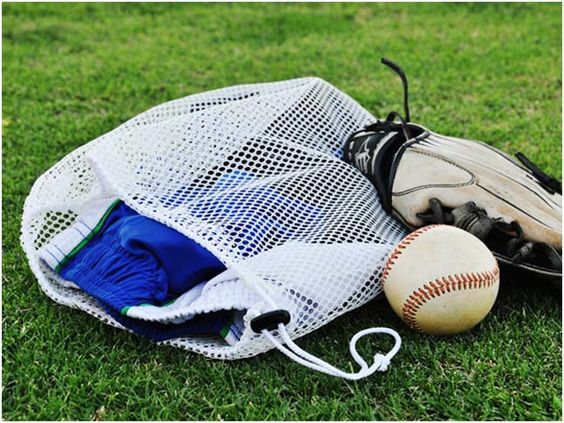 Use one as an activity bag for sports equipment. That stuff gets super sweaty and super dirty… You definitely want to let it air out until you get time to wash it! 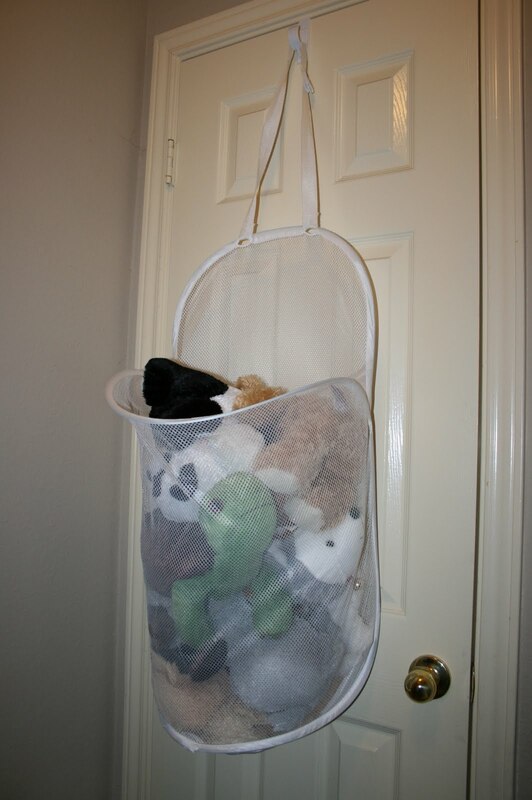 Gather all your kids’ stuffed animals in one place. Love the option for hanging it on the door! Although this shoe net was designed for this purpose, you can always make a makeshift shoe net out of a lingerie bag and some string or tape.